The first-generation Pebble was, as is the case with all manufacturers, an opportunity to craft a product that manufacturers continue to improve over time. With the Pebble Time Steel, though, the smartwatch manufacturer started to take a turn toward a more premium look that would get the company some serious attention. The Pebble Time Round is Pebble’s newest attack on Google’s Android Wear smartwatch platform, with the company showing that its cross-platform smartwatches can function well and look good while doing so. In the latest move to make its smartwatch lineup even more premium than it already is, Pebble has announced its metal bands for both the Pebble Time Steel and Pebble Time Round. The metal bands will ship in 6-8 weeks. The Pebble Time Steel and Pebble Time Round bands come in different models. The Pebble Time Steel bands are only for the 22mm size and have three finishes: Silver, Gold, and Gunmetal black. 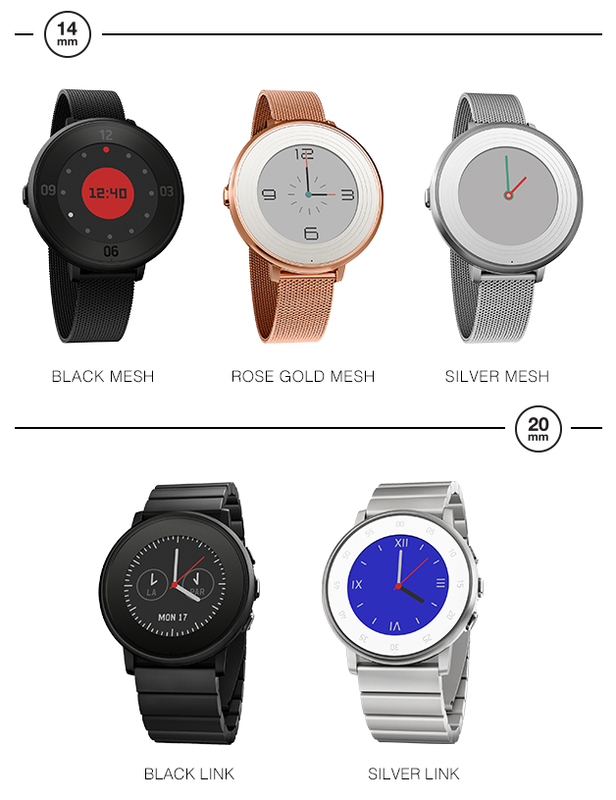 The Pebble Time Round bands are in 14mm and 20mm sizes, with the 14mm models having a mesh style and the 20mm having a link style. If you were a Kickstarter supporter or a steel band pre-order customer, you can expect your metal band(s) to ship before new customers: “These bands start shipping in about 6-8 weeks, after we finish sending metal bands to our Pebble Time Steel Kickstarter backers and pre-order customers,” Pebble’s website says. 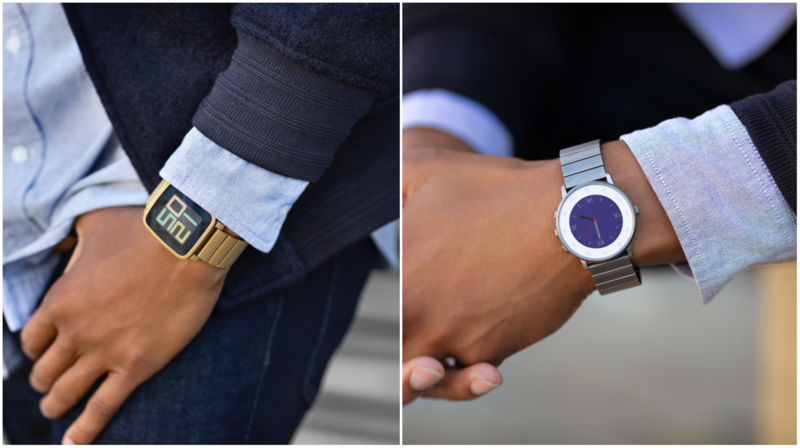 The Pebble Time Steel and Pebble Time Round metal bands are $99, and for a small price, you can now rock some additional style and “bling” with your new bands. Have you ordered your metal band? If so, which one(s), and which Pebble smartwatch do you have? Are you considering the Pebble Time Round, or do you prefer an earlier Pebble smartwatch?